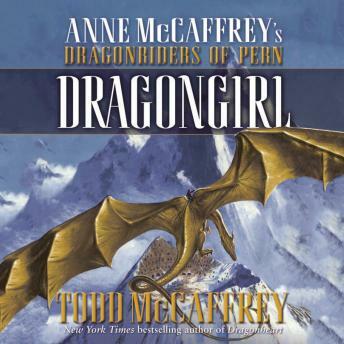 Young Fiona, rider of the gold queen Talenth, has returned from the past, where she and a group of dragons and riders fled so that the wounded could heal from their previous battles. Gone only three days, yet aged more than three years, Fiona is no longer a child but a woman prepared to fight against the Thread that threatens to destroy her world. Fiona's life takes a pivotal turn when a shocking tragedy thrusts her into a position of authority. Now she finds herself leading weyrfolk who have a hard time trusting a senior Weyrwoman who is both young and an outsider. But even greater challenges lie ahead: Thread is falling and there are too few dragons to stem the tide. Many have died from the recent plague, and even with the influx of newly mature dragons from the past, the depleted fighting force is no match for the intensifying Threadfall. Fiona knows that something must be done, and what she proposes is daring and next to impossible. But if her plan succeeds, it just might save them all. this book is well written and I will enjoy it again and again and again.